The USPTO offers three types of patents. Utility patents are available to inventors or discoverers of new inventions or processes. Utility patents are the most commonly sought-after patent. Design patents are offered to those who invent or discover the design for an invention or process. 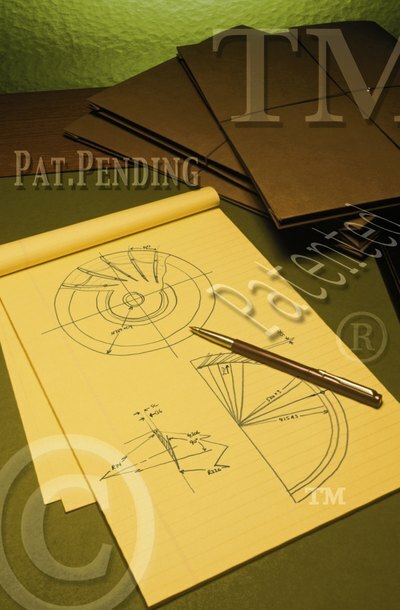 Inventions, designs and processes patented through design or utility patents must be unique. Plant patents are available to those who invent or discover a new plant and who cause such plant to reproduce asexually. Plant and utility patents last for 20 years from the date of patent application, whereas design patents last for 14 years. To receive a patent, you must apply through the USPTO. After your patent is granted, you are required to pay patent maintenance fees three and one-half years, seven and one-half years and 11 and one-half years after the date of first application. Patent fees increase at each due date and they vary, depending upon whether the patent holder is classified as a small entity by the USPTO. The USPTO defines a small entity as a person, non-profit organization or small business, "...who has not assigned, granted, conveyed, or licensed, and is under no obligation under contract or law to assign, grant, convey, or license, any rights in the invention." The patent office will not notify you personally when the fee is due, but the office issues a weekly list of patents for which maintenance fees are currently payable. Maintenance fees may be paid up to six months in advance. There is a six-month grace period after the due date of patent maintenance fees during which your patent will not expire. If you pay during this period, you will be subject to a late payment surcharge. Failure to pay during this time, however, will cause your patent to expire. Patents may be reinstated up to two years after expiration due to nonpayment. To qualify for reinstatement, the patent holder must demonstrate that the nonpayment was unavoidable or unintentional. Examples of "unavoidable" patent late payments might occur when the patent holder is debilitated by surgery or has died and his heirs did not realize the payment must be made. The late fees for unavoidable non-payments are lower, but require documentation. "Unintentional" late payments do not require documentation and are accepted at the discretion of the patent office. However, your rights to the patent are not protected while the patent is expired. 35 U.S.C. 41(c)(2) states that someone who sells an expired patent when it expires due to nonpayment is not subject to charges of patent infringement. After your patent is reinstated, however, others may not sell the item. PatentlyO: Unavoidable Delay: Ignorance as an Excuse? How Much Does it Cost to Patent Something in Canada?